Coming back to what Valentine’s day really is about, Blauhauch Theatre Company opens a space of discovery for unconditional self-love. What does it mean to love myself unconditionally on Valentine’s day, and any other day following that day? What is it that we seek in others and so often forget to give ourselves? This evening is designed for us to come together as a tribe and share about the meaning of love, the essence of love. Using the methods that Blauhauch masters to create stage plays, we will take the leap of faith and write love letters to ourselves including all of the juicy and wonderful informations we discover along the way throughout the evening. Valentine’s Dream will set the seed for a year, a life of living in self-love and discovering what that means. Through the expresssion of our most truthful being, and the sharing of our truth with the world, love is inevitable. Come and celebrate the day of love with us, bring all of who you are and expect to leave with a new vision about yourself. We are so excited to gather and discover what moves us all on the deepest levels of the heart. May we dream unconditional self-love into being and may it unfold in all directions. With loveThis event is for you to come back to your heart space, your romantic dreams and learn how to write love letters (songs, poetry) for yourself and the ones you love most in your life. For couples and individuals who want to reconnect on this day by reconnecting to their true desires and creating from that place. Demistifying Valentine, coming back to the roots of love! Remember, remember… your tender romantic heart, your wild passionate body, and your loving spirit that dreams a big dream. This day is there to remember, and be reminded of the indescribable beauty that is love. Have you ever dared to express what it is you really desire for yourself and your love life? Have you ever taken the time to reflect on the way you relate and how you would like to connect to yourself intimately? And to a significant other? During these wonderful times of reinvention, big questions arise. How can we combine passion and safety, balance the every day and the unexpected, and remind each other that you are special, and far from granted? 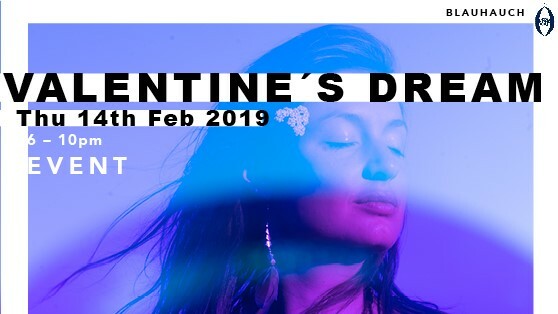 This Valtentine’s dream evening is designed for singles and for couples who want to come close to themselves and to each other by diving deeply into the realms of guided lucid dreaming, which leads into a Loveletter writing and closes with the celebration of love through movement and dance. How can I express my love for myself, for you, for the world through my imagination, words and movements? It is through heart centered meditations, intuitive writing exercises and movement based expression that this evening will invite all of your hearts to creatively contribute to this day by honouring your deepest dreams and wildest fantasies. This event is for you to relax, to connect, to create, to celebrate, to learn, to move, to share, to be yourself completely! Come back to your sense of belonging to yourself and your partner (or future partner). Three women will guide you through the evening, Onimar, Laura and Andrea, looking forward to dreaming with you. * A story that reminds you of a pure feeling of love in your heart.